The Members' Show is provided for all MTWS members to send in one or two paintings, and will be held in Lewistown, Montana, for the month of May 2017. The show is judged by the Members' Workshop artist who assigns 1st, 2nd, and 3rd places along with two honorable mentions. Because this show is not a juried show, it provides MTWS members an excellent opportunity to experience the process of entering a show without the restrictions of being juried in. The 2017 Members' Show will take place in May and the workshop weekend will be May 6 & 7, 2017. A wonderful fundraiser opportunity will be held during the Members’ Workshop and banquet in Lewistown. We will raffle a basket of art items. Tickets will be sold at Lewistown for $1 each and the drawing will be at the Saturday banquet—you must be present to win. Gretchen Finch grew up in southern New Jersey; however, teenage visits to Wyoming established in her a love of the West. She graduated with a Bachelor of Fine Arts degree from the University of Arizona where she was active in the university rodeos, competing in the women’s events. 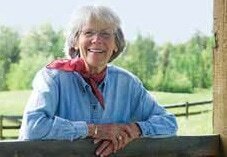 Gretchen married Pete Finch, and they became dude ranchers in Jackson Hole, Wyoming, first at Turpin Meadow Ranch and later at Fir Creek Ranch. Opportunities to paint were slim in the busy environment of hosting and cooking for dude guests, raising five children, working at their wilderness hunting camp, and conducting Bible studies for women. She did find time, however, to design an annual Christmas card depicting snowy winter scenes on the ranch, to which Pete would add his inspiring poetry. Her watercolor sketches of local wildflowers adorned the guest rooms. Widowed in 1990, Gretchen moved to Whitefish, Montana, where she at last became serious about painting. Since then she has produced not only the illustrated cookbook, but also watercolors of a wide range of subjects, her favorites being ranch scenes and portraits. Ever since high school days she has wanted to be a portrait painter. Her eleven grandchildren have provided excellent subjects. Now she creates lively commissioned portraits of children, adults, family groupings and sometimes pets and other animals. Gretchen has entered local art shows with her work and is a signature member of the Montana Watercolor Society. She has also had 2 one woman shows, one in Bigfork, depicting the timber industry and its workers in the Flathead Valley. The other show was in Dillon showing sheep and cattle ranchers in Beaverhead County. The scholarship is open to all artists, including MTWS members, regardless of skill and over 18 years of age. It should be someone who is relatively new to the field or someone who put down their brush years ago and is starting to paint again. The scholarship provides the winner with a $400 stipend towards the Members' Workshop in May in Lewistown, OR the Watermedia Workshop in Bigfork, MT, Fall 2017. Balance of stipend may go toward workshop supplies or travel expenses. This scholarship follows our mission which is to promote and provide art education in Montana. Please let artists in your area know about this rewarding opportunity!